If you’ve been following along with me on Instagram stories, you probably already know we’ve been painting… a LOT. Since planning the paint scheme in this new house, it’s almost felt like being a freshman in college all over again. You know the whole, “I can be whomever I want and have a whole new personality and try out a whole new look and dye my hair pink because this is a new beginning! I can totally recreate myself!” And then you decide just being a new and improved version of yourself is better than being someone completely different. I can fall head-over-heels in love with color, but neutrals will have my heart forever. A clean, simple white can make a room feel clean and refreshed. A soft gray opens the door for possibilities to play all you want with accessories and change your mind a year down the road if you want. Beige gets a bad rap for being boring, but it’s so calming when you’re ready to unwind at the end of a long day that you just want to keep it around. 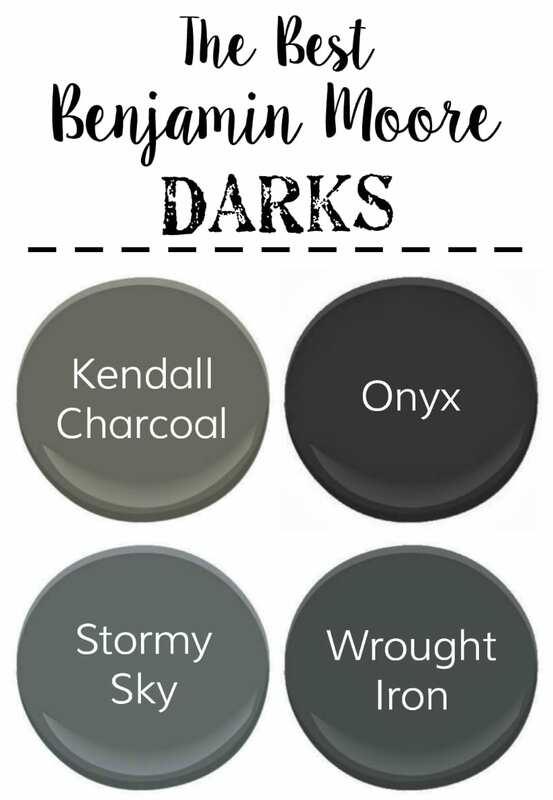 So the other day, I had to stop into Benjamin Moore to pick out some paint samples for all of our walls, and I thought I’d round up some of my favorite no-fail neutrals if you’ve been ready to bust out some paint brushes lately. 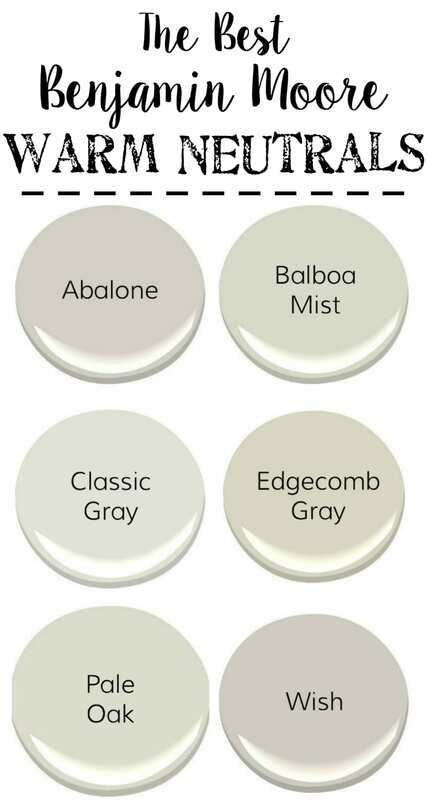 These six neutrals are great if you want a gray with a cool, blueish undertone. These six neutrals aren’t quite “tan” but have a warm undertone that can still work alongside gray shades in the room. 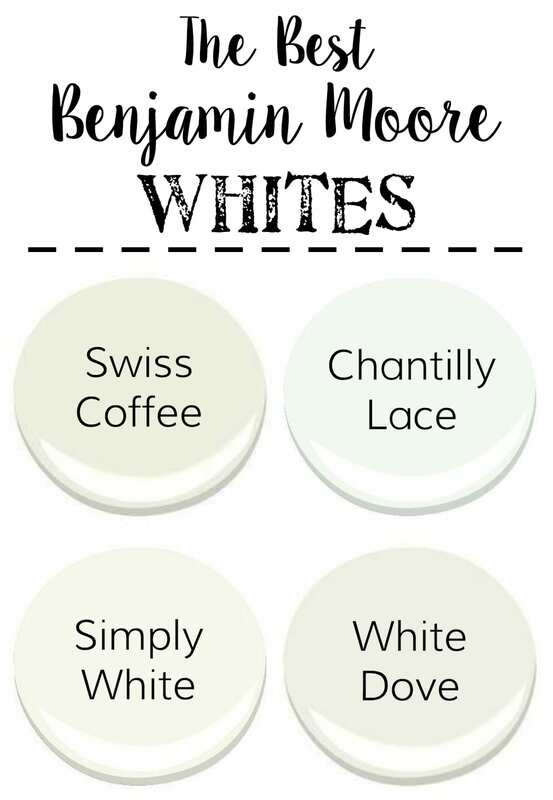 If you have cabinets or trim needing a refresh, these four whites are my favorite! We just painted our living room with Swiss Coffee in the new house, and it feels instantly bright but still warm and welcoming. It’s slightly creamy without looking yellow-y. We used Simply White on our trim too for a bright white that still works well alongside cream tones. If you want to add drama to your house or make it feel a little more luxe, throw in an accent of moody dark paint. These four are my favorites. We just painted our interior doors with Wrought Iron, and it’s the perfect deep shade that is darker than charcoal but has a bit more dimension than straight black. Just a couple of touch-ups and I’ll be sharing the living room totally repainted later this week. I used to long for lots of moldings and details in our house, and now that we have it, I’m realizing just how loooooong it takes to paint. But it’ll be absolutely worth it. Do you have any favorite neutral paint colors? Or colorful paint colors? Or tips to make painting a room go lightning fast? I was reading one of your earlier posts where you mentioned using BM colours in other less expensive paints for economical reasons. I wanted to suggest that you try BM’s eco-friendly, VOC free paint in the contractor line, Ultra Spec … it is much cheaper than BM’s regular eco lines, such as Aura, but still a great quality product. I have used it for years and highly recommend it. Good to know! Thank you, Sonya! 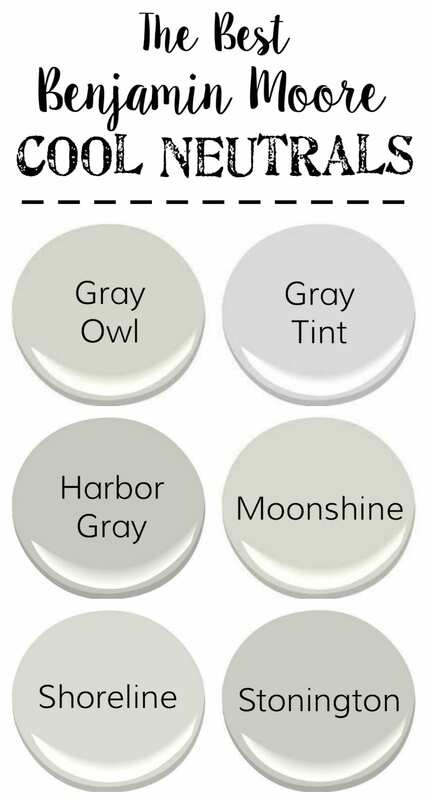 We are building a new house right now and used Gray Owl at half-tint in almost every room! It is such a perfect, neutral gray. I just love it! 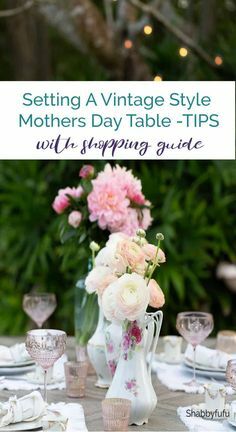 I love the warm neutrals and the wrought iron, those are my picks for my favorites. Thank you, thank you, thank you! I’m slowly hoping to switch out my bright walls to more neutral colors (I started with my daughter’s new room and plan to work my way around the house) and I have no clue where to begin trying to narrow colors down, so this is super helpful!! I’m looking for suggestions for paint color in my livingroom. The kitchen is painted Hazy Skies. It opens into the livingroom but the whole space is not open…there’s a wide doorway. I have a medium gray couch and chair and a teal colored chair in the livingroom. The trim throughout the house is oak ..I would say a honey color. Can you suggest a gray color for the walls? the room is quite large.